OK, my hand's been force-ed. I had been lazying around not putting up the pics from the Armageddon 2007 event in Wellington. 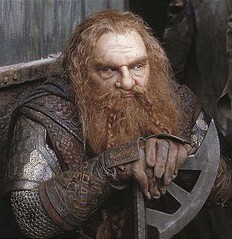 But thanks to my pal Monty's initiative, I better get around to it. There are always more than one side to a story. 'Armageddon' is held every year in Wellington, it's a showcase of art, technologies, media and of course toys and collectibles related to the imaginative worlds formed in human minds. This is the first time I visited one of these. 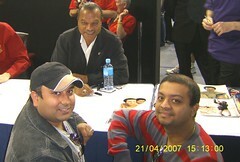 We got to meet Billy Dee Williams, the actor who played Lando Calrissian in Star Wars. He was pretty nice - smiled and shook hands. 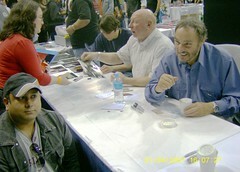 We also got to meet with the actor John Rhys Davies - he played Gimli in Lord of the Rings. I told him I'm a big fan, and the big man winked back, while putting sugar into his coffee. Most of the cast of Pan's Labyrinth was also present, but we had no idea who was who. There were stalls showcasing the gadgetry that goes into making the costumes - rubber masks, clothes and props. There were lines of computers with enthusiasts trying out the latest computer games. Sony was showcasing its latest Playstation 3 gaming console. There was a team from Massey University Institute of Technology and Engineering demonstrating a robot that can play a ball game on a board. I chatted with the project Professor, and he said that they sometimes have teams of robots playing each other. 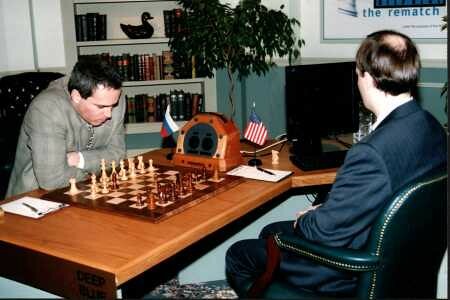 The robots were controlled by a remote computer, rather than being autonomous devices. 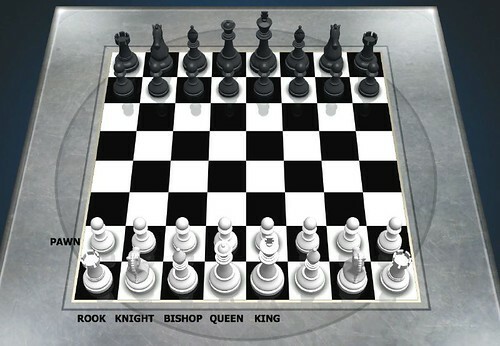 An overhead camera mapped the board and the position of the robot and relayed that to the controller. There were also plenty of vendors selling computer games, board games, DVDs. I completed my collection of Matrix movies, by picking up a DVD of the first movie. There were plenty of characters from the movies walking around, there were competitions happening on stage involving re-enactments of favorite scenes. The New Zealand Army was in here too. They were letting people try out their training simulations. These looked like games but responded much more sluggishly, probably more realistically. 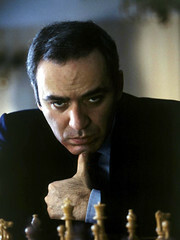 All wars should remain that way - games inside machines - and not spill out messily into the real world. I had really come to take a look at the graphic artists and their work. 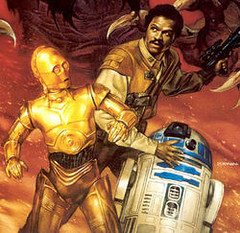 Comic art has a lot of influence on contemporary culture. Look at all the latest movies such as 300.
" We are very proud to announce that after a thorough private beta phase MindMeister finally went live last night at 11pm CEST!" 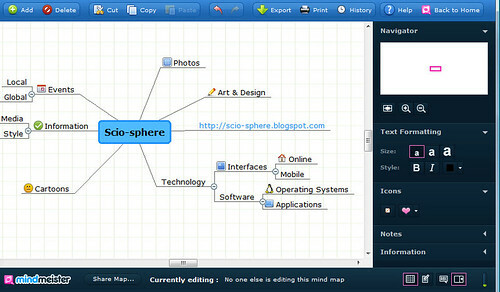 The free basic account lets you create upto 6 mind maps, to get unlimited you'll have to go premium. 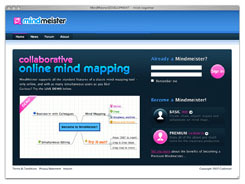 Mindmeister includes a Web2.0 component by allowing you to share your mind maps with others and work collaboratively. The premium account also additionally allows the user to export the mind map in formats such as FreeMind and Mindjet Mindmanager, the user can include the map in blogs and websites, kill the advertising, and provides full SSL encryption. The limit of this application to just 6 mind maps for free is against the spirit of the times. It severely limits any true usability for most users and will hamper the success of this endeavour. Perhaps sometime in the future, the boys with the big cash - Google or its equivalent - will buy this company out, set the application free with unlimited storage and unleash its true potential. If you're planning to get a computer and obtain a legitimate copy of Microsoft Windows XP for it, better do it before the January 2008, because Microsoft is discontinuing the sales of Windows XP past that date. Support will continue to be provided for the XP operating system, though. The new Microsoft operating system, Windows Vista, is proving slow on existing machines and still incompatible with a lot of hardware due to a lack of device drivers. 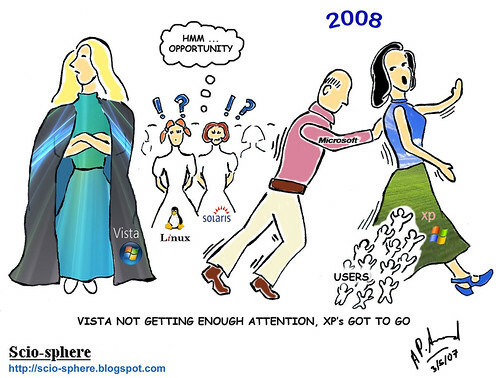 Due to this, many users who switched to Vista are trying to move back to XP. 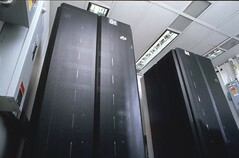 There's a space being created, opportunity for other operating systems - Linux, Solaris & Co to spruce up their act - i.e. become user-friendly, attractive and compatible - and enter the fray.